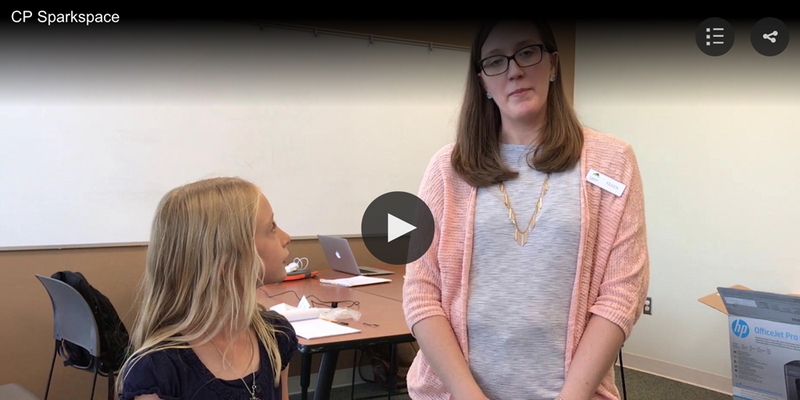 Tweens and teens will have an opportunity to “dream big” in a new STEM digital play space and homework help center being created at the Central Point library. Called “Spark Space,” the center will be a hub for youth to explore and implement rudimentary science, technology, engineering and math applications with activities like programming robots, creating music videos or publishing blogs and comics. The big reveal of the new space at 116 S. Third St. is set for noon to 4 p.m. Saturday, Sept. 29. In preparation, the Central Point branch will be closed Tuesday through Friday for renovations. Patrons who have holds requests for books and other library materials will can pick them up at the Medford library, 205 S. Central Ave. The first of its kind in the Rogue Valley, Spark Space will provide access to digital stations featuring music, video, digital arts, writing, coding and robotics tools. Spark Space users can borrow a camera, edit their photos using professional software and share them with their families. They can also learn to code robots, program games, write and self-publish their own books or comic strips and create podcasts. After-school homework help and mentoring will also be provided. A surprise bequest from community member Sandra Marks in 2016 was the “spark” that inspired the center, said Amy Drake, executive director of the Jackson County Library Foundation. “Our first thought was to create a state-of-the-art children’s area,” said Leigh Blair, manager of the Central Point library. The plan soon changed to creating something cutting-edge to address the needs of tweens and teens. Nearly 460 children, ages 0 to 12, participated in this year’s summer reading program. The Spark Space, Blair hopes, will provide an outlet for youth older than age 12 to plug into library services and programs. “We want everyone having fun, no matter why they are at the library,” she said. Additional financial support from the Oregon Community Foundation and the Central Point Friends of the Library is making it possible for JCLS to invest in the first major renovation since huge overhauls and construction projects at all 15 branches in 2000. As the third-busiest branch after those in Medford and Ashland, Central Point seemed the perfect site for a test-run of a STEM center. Depending on the success pilot program, similar centers may be installed in other branches, said Blair. When completed, Spark Space will take up about one-quarter of the library’s square footage, said project manager Kristin Anderson. And, the library “which is incredibly beige,” will have bright colors throughout, added Anderson. New “stuff” also requires new staff. Ellen McCarthy was recently hired to oversee day-to-day operations within the space. With a degree in chemistry and experience working in other STEM centers, she is excited about a program that encourages youths to think critically and creatively, she said. As a parent of two young children, she also is happy to see the homework help and mentoring components. Blair said she has a call out for community volunteers. She hopes that high school students seeking internships or venues to complete senior projects or college students needing to complete a practicum will come on board as role models. Reach Grants Pass freelance writer Tammy Asnicar at tammyasnicar@q.com.